Klerksdorp Spur and Aranda (Aranda offers the market's highest quality blankets. They offer a selection of blankets and throws ranging from classic designs to contemporary colours and patterns) came on board to make it a joyous Youth Day for the children of Rethabile. Rethabile which is situated in Klerksdorp, houses 150 children between the ages of 3 and 18 who are from previously disadvantaged backgrounds in the North West region. The donation included blankets, pyjamas, socks, a hot chocolate sachet and a Spur goodie bag which included a Spur burger, chips and sweet treats. “It’s with immense gratitude that the Trust is able to donate 150 warm blankets, 150 pairs of warm socks provided by the Senwes employees and 150 sachets of hot chocolate to Rethabile Children’s Home,” says Elmarie Joynt, Trustee of the Trust. “We’d also like to say a big thank you to the Klerksdorp Spur who is donating burgers to all the children and to Aranda Textiles, from Randfontein for providing the blankets at discounted prices.” She said. 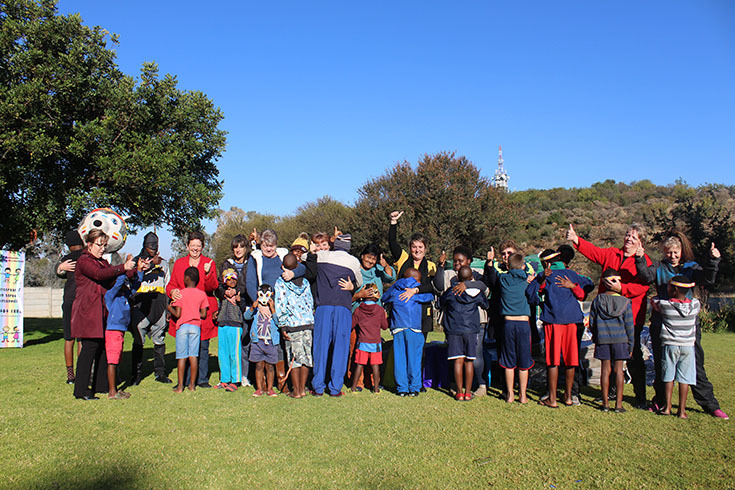 The children whose hearts were full of gratitude broke out in song chanting ‘’Ons sê baie baie dankie’’. The Home’s manager, Mina Reynecke mentioned that it means a lot for companies like Senwes to bless them in that way, “we are able to provide the children with the basics but never anything that’s extra special’’, she said. Mina also mentioned that the Klerksdorp community is very supportive which goes an extra mile when they face tough times. Anyone that would like to contribute to Rethabile Children’s Home can contact them on 018 464 1888 and ask to speak to their manger.